US 50 W to Elrod to left on Farmers Retreat Road (by water tower)to home on right about 2 miles. Sign on. 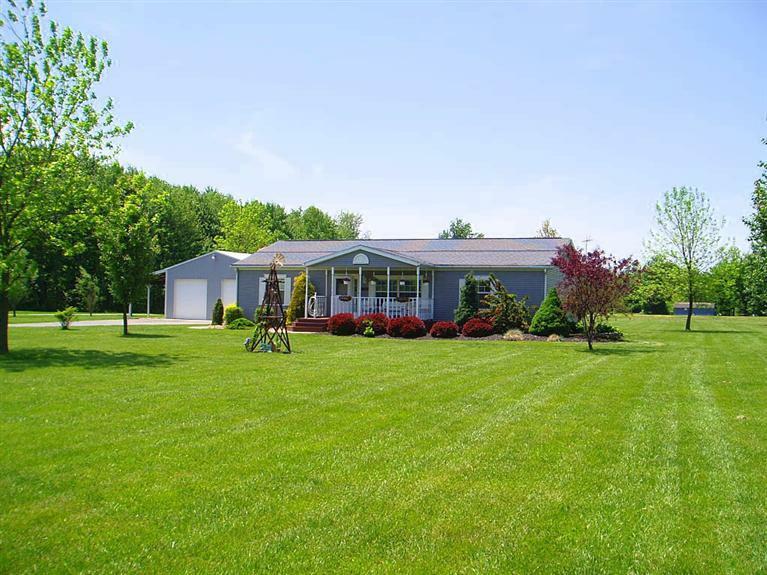 Beautiful 3BR,2BA home on 6+ acs!Features-Huge kit. w/newer flring, island & tons of cabinet space, appl. nego, split BR flr plan, MBR w/newer carpet, lg. MBA w/Dbl Vanity, garden tub, & shower,cov rear deck,30x40 det garage w/ elec, concrete flrs., 2-10 ft. doors & 1 -12 ft. door & 12x40 attached lean-to,12x32 Cabin overlooking stocked pond,&more!